Port Wentworth is the perfect place to stay while you’re venturing out to explore Savannah and coastal Georgia and South Carolina. We are practically at the center of any day trips you might make to Savannah, Hilton Head Island/Bluffton, or Tybee Island. And when you’ve exhausted the delights of those locations, a comfortable, affordable good night’s sleep is waiting for you at Port Wentworth’s Exit 109 off I-95. Port Wentworth is only 11 miles to Savannah's Historic District. 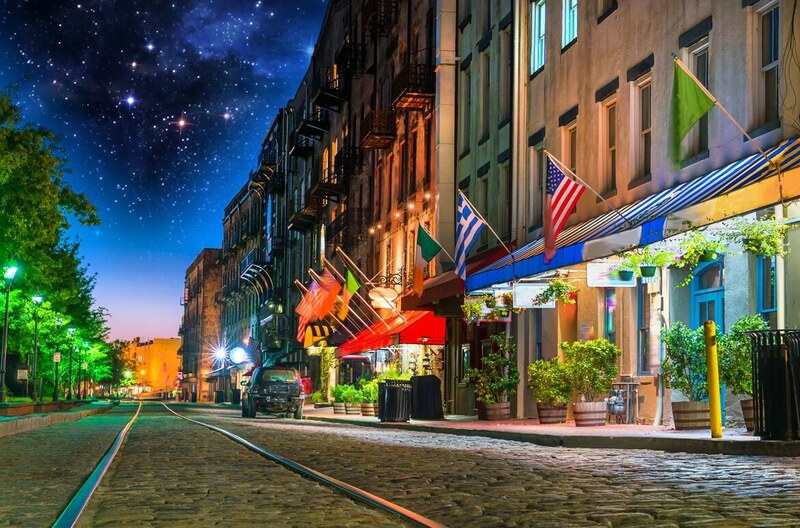 River Street – many cities may have a street by the same name, but none as lively as Savannah, Georgia’s River Street – the heartbeat of the city. Here, residents and visitors throng nearly 24 hours a day to take in the bright sights, sounds, smells, and aesthetic pleasures of this cobblestone thoroughfare that hugs the Savannah Riverfront. Enjoy tours and/or theater performances, dine in fine restaurants or just grab a refreshing beverage, while shopping, exploring historical landmarks, art galleries, and more! You can’t expect a city with this much life not to have a few ghosts still hanging around to have some fun with us! Yes, the City of Savannah, billed as America’s Most Haunted City, is home to a host of ghosts – pirates, jilted lovers, murderers, rivals, and more. Get to know the spirited side of Savannah, Georgia by taking in a ghost tour. You can see haunted hotels and hear the spirits’ stories when you board a tour bus or trolley, or dare to stroll alone along the cobblestone streets. Other tours and experiences are available as well, such as romantic carriage rides through some of Savannah’s historic squares, trolley rides and riverboat cruises. All the world’s a stage, and Savannah, Georgia holds the spotlight for great entertainment! From Broadway musicals to retro-pop performances and golden oldies, from children’s shows to a singing Santa, there are spectacular performances offered year round at the Johnny Mercer Theatre at the Savannah Civic Center, the historical Savannah Theatre, and other venues. Of course, Savannah is known for having an amazing line-up of cleverly curated boutiques and signature shopping districts. Pick up a must-have souvenir from one of River Street’s many shops. Explore the century-old family businesses such as Levy Jewelers and Globe Shoe Co. that share Broughton Street with merchandise meccas such as J. Crew, Free People, Urban Outfitters and H&M. Explore the popular, central pedestrian mall known as City Market, where souvenir shops, art galleries and eateries abound. Browse the antiques, furnishings and upscale fashions in the locally owned boutiques and studios in the Downtown Design District on and around Whitaker Street, between Charlton and Gaston streets. Look for the Tanger Outlets trademark lighthouse off I-95 for great deals on name-brand apparel and household goods, and don’t miss Oglethorpe Mall and Savannah Mall (home of Bass Pro Shop), both on Savannah’s Abercorn Street. Somehow, the world looks better when you view it from the water! 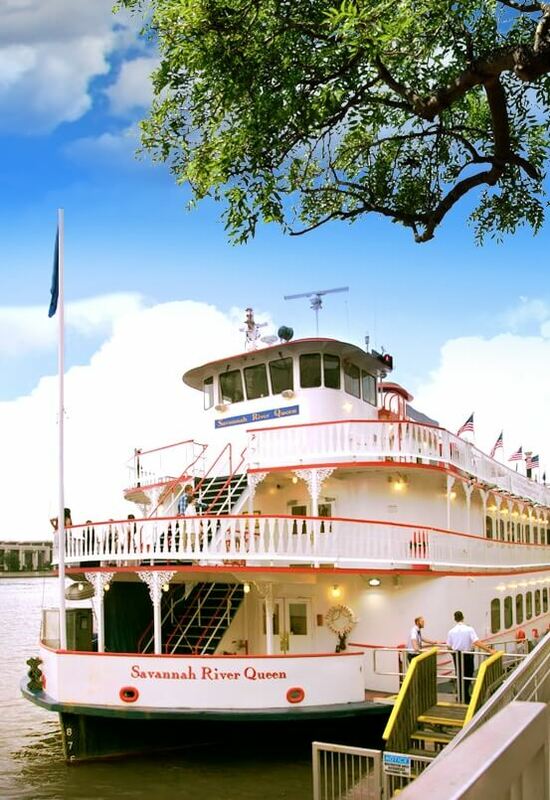 Enjoy dinner by sunset on the Savannah River, live theater, musical, comical or dance entertainment, and an unforgettable tour on a Savannah riverboat sightseeing cruise. Book tours and tickets online for couples, families, groups, and private charters. Experience refreshing river breezes on a sightseeing harbor tour, delicious local Southern flavors, cultural entertainment, laughs, and lavish brunches. There are a variety of daytime and evening cruises from which to choose that are convenient to your schedule. What a great way to relax and get away from it all, yet so close to your comfortable hotel in Port Wentworth!